CData Software is a leading provider of data access and connectivity solutions. We specialize in the development of Drivers and data access technologies for real-time access to online or on-premise applications, databases, and Web APIs. Our drivers are universally accessible, providing access to data through established data standards and application platforms such as ODBC, JDBC, ADO.NET, OData, SSIS, BizTalk, Excel, etc. Fast Reports Inc., founded in 1998 by CTO Alexander Tzyganenko and CEO Michael Philippenko, builds fast reporting software: applications, libraries and add-ons. Products include: FastReport VCL, FastReport FMX, FastCube VCL, FastReport.Net, FastReport Studio, and FastReport Server. Our products allow you to deploy professional visual reporting to cross platform applications. TMS software focuses on software component development for Delphi & C++Builder since 1995. With a main office in Europe and developers around the world, TMS software oversees a wide portfolio of components for Windows, Web and cross platform application development with Delphi or C++Builder. Our VCL, FireMonkey, IntraWeb components range from grids, scheduling components, Excel reporting, diagramming, charts, automatic application updating, scripting, ribbon and many other user interface enhancements for Windows, Mac OS-X, iOS, Android. In addition to component development, we provide consulting & custom application and component development with Delphi and C#. Gnostice creates feature-rich, well designed and incredibly easy to use PDF and Microsoft Office document processing components for Delphi and C++Builder. Gnostice component libraries enable software developers to easily add multi-format document creation, viewing, printing and conversion, report export capabilities to their applications. The Gnostice components provide programming APIs as well as drag-drop RAD controls to help developers rapidly develop applications. The Gnostice vision has been to make products that will help people accomplish business with ease. Gnostice has been in business since 2002 and its products are used by thousands of developers in over 80 countries. For more information please visit: www.gnostice.com. For over 20 years, /n software has been building award winning components that enable developers to easily integrate Internet communications, security, and e-business communications into their applications. With native software components for every major development technology, including Delphi, C++ Builder, .NET, Java, PHP, /n software components are ready to help your applications connect no matter where your development takes you. Addictive Software produces Addict Spell Check and Thesaurus which provide Live Spell Check, Dialog Spell Check, API-based Spell Check, Auto Correction, Thesaurus Lookup and more for VCL Applications. Alfasoft, founded in 1989, is a leading supplier of development and scientific software towards the Nordic, East European and Russian countries. Our ambition is to offer the market competent guidance when choosing software as well as technical support, training and consultancy. Being the authorized Embarcadero reseller in Norway, Sweden and Iceland enables us to provide the best possible service to our development and database customers. Barnsten is dedicated to providing its customers with the industry’s broadest and deepest set of tools for enhancing the productivity of software developers and database professionals. We have chosen Embarcadero Technologies as exclusive partner. For more than fifteen years our services have enabled customers to increase productivity, improve software quality, enhance application and database performance, streamline compliance and security efforts, and reduce costs. Blaise Pascal Magazine is a magazine all about Delphi, Delphi Prism, Lazarus, Pascal and related languages. To subscribe visit subscriptions. A link to free trial issue is avaialable at Delphi Developer Days events. 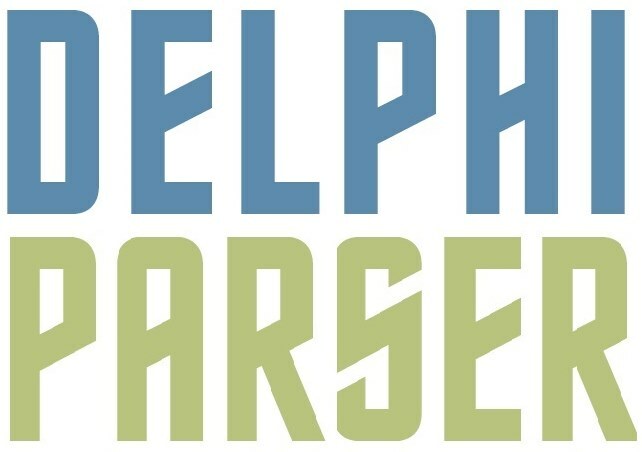 Delphi Parser is a utility and development solution for automatic code refactoring. It modernizes database oriented software legacy systems built with Delphi or C++ in the mid 1990's using Client\Server architecture. Embarcadero recommends Delphi Parser for upgrading legacy software that used BDE (or any other Data-Aware component) to latest RAD Studio 10.1 Berlin using FireDAC. DeskMetrics is an analytics for desktop software which provides real-time strategic information about how software is being used. With DeskMetrics, companies and developers can obtain information about the users’ locations, where they are clicking, which features are most used and so on. Devart is a software development company with 20 years of experience, that specializes in developing feature-rich and high-performance libraries of components for developing cross-platform (iOS, Android, Windows, Linux) client/server applications for databases such as: Oracle, SQL Server, MySQL, InterBase, Firebird, PostgreSQL, SQLite, Microsoft Access, DB2, DBF, Sybase, and others, in various IDEs such as: Delphi, C++ Builder, Lazarus, and Free Pascal. In addition to Devart's native Data Access Components, Devart is a recognized developer of Delphi ORM - EntityDAC and a huge set of dbExpress drivers for Oracle, SQL Server, MySQL, InterBase, Firebird, PostgreSQL and SQLite. DevJet Software DevJet Software is committed to providing productivity tools for Delphi developers. Our flagship product Documentation Insight seamlessly integrates into RAD Studio IDE to enable you naturally document source code, produce professional API documentation files and deliver to your customers. Digital Metaphors is the publisher of ReportBuilder, the premier reporting tool for Delphi. Whether you need to create simple reports quickly or deliver the most advanced reporting solutions, ReportBuilder is the tool of choice among Delphi developers. Dr.Explain is software for creating help files, user guides, on-line manuals, and documentation for Delphi, .Net, C++, VB, Java, SWF and Web applications. Unique to Dr.Explain is its innovative approach to creating help documentation much quicker than with other tools. The program parses a live application and automatically produces screenshots of its windows along with a sequence of explanatory callouts for each control. Dr.Explain produces documentation in the HTML (on-line manuals), CHM (MS Windows help files), RTF, and PDF formats from a single source. EC Software specializes in technical documentation and help authoring tools. Their flagship product Help & Manual is a full featured stand-alone documentation tool and provides a complete solution to create application online help as well as Webhelp and PDF user manuals. Help & Manual has won several prestigious awards including three times the Shareware Industry Award. Visit http://www.ec-software.com for more information. EldoS Corporation is an international company that specializes in development of security-related software components for corporate market and individual software developers. EldoS Corporation operates worldwide and has thousands of satisfied clients in over 70 countries on 5 continents. Since July 15, 2016 EldoS business is owned and operated by /n software, Inc. (USA). ESB Consultancy produces ESBPCS for VCL which provides a huge collection of Routines and Components to make Data Entry and Manipulation easier for both Developers and their end-users. Since 2000, Fabio Dell'Aria and the EurekaLog team, have been developing and marketing EurekaLog. EurekaLog is a complete bug resolution tool for Delphi, C++Builder, C# and VB.NET developers that gives your application the power to catch every exception and memory leak, directly on the end user PC, generating a detailed log of the call stack (with file, class, method and line number), optionally sending you a copy of each log entry via email or the Web. Visit http://www.eurekalog.com for more information. Gurock Software is a company specialized in tools for software development teams and quality assurance departments. Gurock's first product SmartInspect is a .NET, Java and Delphi logging tool that is used by hundreds of organizations around the world to improve the quality of their software projects. Gurock's second product TestRail is a test management software that helps managing software testing efforts and quality assurance departments. HREF Tools Corp offers a range of Delphi components and utilities for web developers and web server owners. Their flagship product, WebHub, is ideal for teams of web developers who wish to separate page design from logic, and who need to deliver sites which will be skinned for multiple clients and/or translated into multiple lingvos. Boost your productivity in the Delphi IDE with Code Explorer the award winning Delphi Refactoring Browser. Two way navigation, build-in refactorings. Create, Edit, Convert classes fields methods and properties with drag & drop and point & click. Delphi 5 - Delphi XE. Design, Analyze, Document your software with ModelMaker: Award winning Native Delphi 4 - Delphi XE Visual modeling and Refactoring tool based on UML™ 2 technology. For over 16 years, RiverSoftAVG RiverSoftAVG has specialized in developing high-quality DelphiT components for VCL and FMX. RiverSoftAVG provides graphics components, such as the RiverSoftAVG SVG Component Library and IMPACT the multimedia instrument add-on, the free for non-commercial use RiverSoftAVG Charting Component Library, and artificial intelligence components such as the Inference Engine Component Suite and the Genetic Algorithms & Programming Component Library. RSSBus provides integration tools and components enabling straightforward connectivity with Internet and Intranet applications, services, databases, and other information systems. The RSSBus Drivers simplify access to data from any custom application, BI, or reporting tool. They provide read-write access to live data from all kinds of on-premise and cloud sources, including: Salesforce.com, QuickBooks, SharePoint, SAP, Dynamics CRM, Excel, Amazon Web Services, Facebook, Twitter, and more! Scooter Software's product Beyond Compare allows you to quickly and easily compare your files and folders. By using simple, powerful commands you can focus on the differences you're interested in and ignore those you're not. You can then merge the changes, synchronize your files, and generate reports for your records. Sisulizer is just a new name for a group of familiar faces that have been in the software localization business since 1994. Sisulizer is home to some of the most experienced software architects and product experts in the localization industry. We are, and not just claim to be technology leader in various fields. We continuously improve our software thanks to the valuable feedback from our customers, mainly software developers like us. Providing a tool that give your translators context, WYSIWYG, and features to create a high quality localized version of your product is our mission. Making you a happy and successful Sisulizer user is our main goal. Last, but not least we are proud to be independent software vendors (ISV), component, and tool builders, and stay LSP independent! Steema Software has been providing software tools for application developers since 1996. Specialising in charting components, Steema's flagship charting package, TeeChart, is widely acknowledged as an industry standard. TeeChart is a Charting Library for RAD Studio, Delphi, C++Builder & FMX that offers an easy way for developers to include comprehensive charts, maps and gauges in their applications. Latest addition, TeeGrid, is a data grid compoent for Delphi VCL & FMX. CodeNewsFast.com allows you to search all Delphi, C++Builder and related newsgroup content from 1997 to 2012. This site collects many different feeds from blogs, newsgroups and other Delphi sites. DelphiFeeds.com publishes short excerpts from these postings or articles on the DelphiFeeds.com front page. The whole process is automated, and includes quality blogs and sites only so that the signal/noise ratio should be good. Home of the PodCast at Delphi.org. Delphi.org is a site about the Delphi programming language, tools, news and community. Torry's Delphi Pages is a great resource for information about Delphi, and includes a huge amount of components, code samples, tools and so on for developers. The Programmers SIG of the Capital PC User's Group is a group dedicated to exchanging ideas and information on software programming. They meet the 1st Wednesday of the month in Washington DC. The Los Angeles Developers' User Group (formerly Los Angeles Delphi User Group) is a forum for ideas and a meeting ground to bring together users of software development tools, including Delphi, for the purposes of mutual education. The Oregon Delphi User Group is a community-sponsored group of Delphi developers and enthusiasts offering free bi-monthly meetings, networking opportunities, and professional fellowship about the software development community. The meetings regularly include leading developers, authors, and companies who graciously share their experiences with the group and focus on Delphi or related technologies. The Salt Lake City Delphi Users Group is dedicated the support of Delphi in Utah We typically meet the 3rd tuesday of every month. The Suburban Chicago Delphi Users Group was created to help connect programmers with other Embarcadero Delphi users throughout the Chicago area and the midwest. All skill levels of Delphi, C++, Database, Web and other programmers are welcome! The Developers Group is a long-standing group in the UK for developers working in Delphi and/or in .NET. We meet monthly, alternately in Reading and London, for a full afternoon. We also hold masterclasses, have a members’ newsgroup and produce an e-magazine. Delphi.cz is an independent community site in Czech for users of Delphi in the the Czech Republic and the Slovak Republic who want to further develop their skills and monitor developments about Embarcadero Technologies' Delphi. DAPUG is a active group for developers throughout Denmark. DAPUG holds regular meetings that focus on Delphi, database application development, or related technologies. DAPUG also holds several special two-day workshops per year that regularly include leading international developers and authors. ITDevCon is the European conference entirely focused on Delphi and Delphi technologies. For more information, visit, www.itDevCon.it. Netherlands Pascal Users Group (HCC-Pascal Gebruikers Groep). Software Development Network (SDN) is a User Group of Dutch professional software developers. Our aim is to better the skills and to further the interests of professional software developers. The Delphi Development Network (SDN) is the track within the SDN that focuses on Delphi, RAD Studio and Delphi Prism. The Oslo Delphi Club meets in Oslo, Norway. Visit the Oslo Delphi Club web site for more information. Danysoft is Embarcadero’s representative for Spain & Portugal, with 20 years of experience in the market distributing software tools and providing training and consulting services to developers and IT departments. The Gothenburg Delphi User Group is for programmers around the Göteborg area using Delphi. The group's slogan is: "We'd rather code in Delphi!" The Stockholm Delphi User Group is a place to meet other local professionals who use Embarcadero's Delphi programming language.